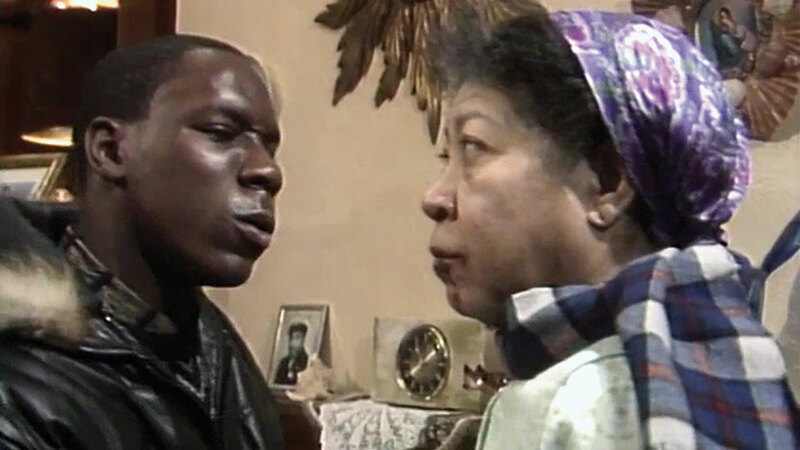 Trix Worrell won Channel 4’s Debut ’84 prize for best script with this compelling story of a black youth thrown into a conflict of loyalties when he teams up with two white friends and breaks into the home of a feisty black elderly woman. The screening will be followed by a panel discussion examining what the fantastic plays in the season can teach us about black drama, and what opportunities lie ahead for black creatives and writers in a modern digital landscape. Trix Worrell’s prescient play deals with gang loyalty. With thanks to Holmes Associates for this BFI restoration.